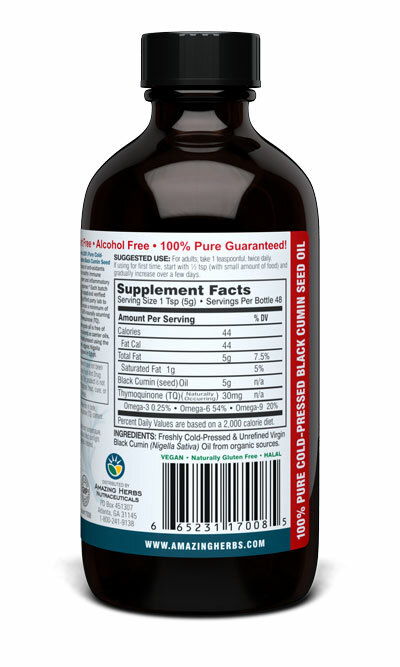 100% Pure, Egyptian Black Seed Oil (The "Original" Egyptian Black Seed Oil) - Cold Pressed in USA & Solvent Free - 8oz Amber Glass Bottle. Amazing Herbs EGYPTIAN Black Seed oil is a valuable source of EFA's 3/6/9's and also contains two very powerful phytochemicals Nigellone and Thymoquinone along with other nutrients that work synergistically to support the body's various functions. 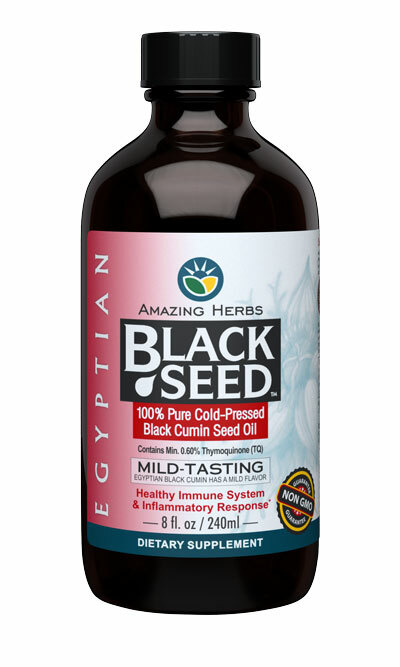 Amazing Herbs EGYPTIAN Black Seed Oil is guaranteed to be the highest quality and contains the highest level of TQ (Thymoquinone) available for Egyptian Black Seed oil.